This one is a book we love! Jessi has reviewed it (5 stars) and I personally have this marked as a 4/5 stars on Goodreads which is a big thing for me. It's the first in a series but can be read as a stand alone. Late one night, exploring her father's library, a young woman finds an ancient book and a cache of yellowing letters. The letters are all addressed to "My dear and unfortunate successor," and they plunge her into a world she never dreamed of - a labyrinth where the secrets of her father's past and her mother's mysterious fate connect to an inconceivable evil hidden in the depths of history. The letters provide links to one of the darkest powers that humanity has ever known - and to a centuries-long quest to find the source of that darkness and wipe it out. It is a quest for the truth about Vlad the Impaler, the medieval ruler whose barbarous reign formed the basis of the legend of Dracula. Now one young woman must decide whether to take up this quest herself - to follow her father in a hunt that nearly brought him to ruin years ago, when he was a vibrant young scholar and her mother was still alive. What does the legend of Vlad the Impaler have to do with the modern world? Is it possible that the Dracula of myth truly existed - and that he has lived on, century after century, pursuing his own unknowable ends? The answer to these questions cross time and borders, as first the father and then the daughter search for clues, from dusty Ivy League libraries to Istanbul, Budapest, and the depths of Eastern Europe. In city after city, in monasteries and archives, in letters and in secret conversations, the horrible truth emerges about Vlad the Impaler's dark reign - and about a time-defying pact that may have kept his awful work alive down through the ages. 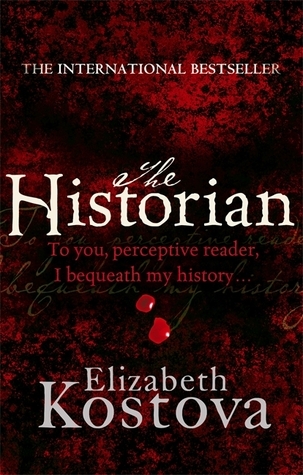 Parsing obscure signs and hidden texts, reading codes worked into the fabric of medieval monastic traditions - and evading the unknown adversaries who will go to any lengths to conceal and protect Vlad's ancient powers - one woman comes ever closer to the secret of her own past and a confrontation with the very definition of evil. This is another one we've reviewed. Kelly gave it a 3.5 stars. Personally, I couldn't get through the book because of the jumping from past to present. It was like jumping books almost. So your mileage may vary. 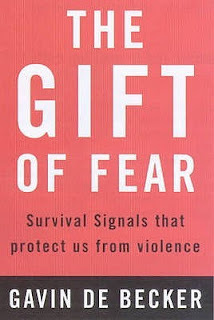 In this empowering book, Gavin de Becker, the man Oprah Winfrey calls the US's leading expert on violent behaviour, shows you how to spot even subtle signs of danger - before it's too late. Shattering the myth that most violent acts are unpredictable, de Becker, whose clients include top Hollywood stars and government agencies, offers specific ways to protect yourself and those you love, including: how to act when approached by a stranger; when you should fear someone close to you; what to do if you are being stalked; how to uncover the source of anonymous threats or phone calls; the biggest mistake you can make with a threatening person; and more. Learn to spot the danger signals others miss. It might just save your life. 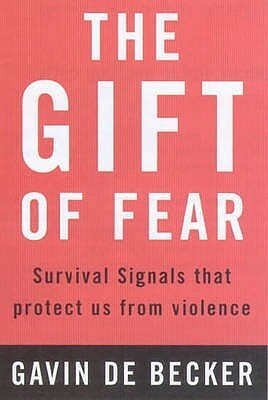 I read Gift of Fear a few years ago and I thought it was a really interesting book. I should probably read it again because it is really hard to trust your instincts sometimes, but usually they serve us well. Deal only at Amazon. 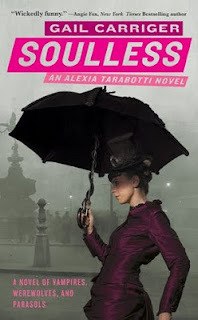 Soulless is always worth a purchase! Grab it ya'll. Thank you for post Nook links too. So many bloggers feature "ebook" deals, when they are only Kindle ones. 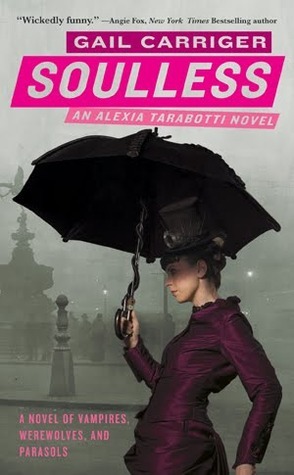 I got Soulless when it was a featured book a few months ago. Still need to read it. 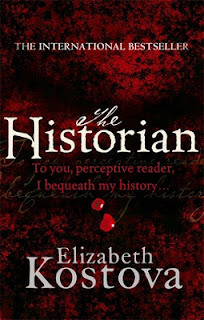 It took me a while to get into The Historian. It was a loaner from a friend a few years ago around this time of year. But after a bit into it, I couldn't put it down. I absolutely loved it, and went out and bought my own copy. I need to read it again. I also appreciate the Nook links. I can download Amazon ones to my phone,but only do that in extreme circumstances. Don't want more data on there than necessary.